Turn lackluster plots into irresistible stories! When it comes to writing bestsellers, it's all about the plot. But creating a captivating storyline that mesmerizes your audience until the very end is easier said than done. With thousands of engaging books on the shelf, you'll need to set yours apart by developing unique scenarios that leave readers wondering what happens next. 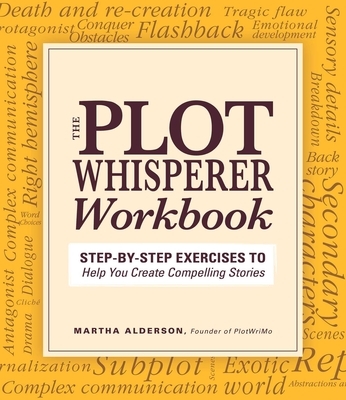 Filled with essential advice and writing exercises, /The Plot Whisperer Workbook will quickly become your go-to guide for crafting a tale worthy of the bestseller list! Martha Alderson, founder of PlotWrMo and author of The Plot Whisperer, has worked with hundreds of writers in plot workshops, retreats, and plot consultations for more than fifteen years. Her clients include bestselling authors, New York editors, and Hollywood movie directors.